Remember how much fun it was to blast through narrow corridors in classics like Descent and Forsaken, each encounter a thrillride leading to the next fun laser-and-missile bout? 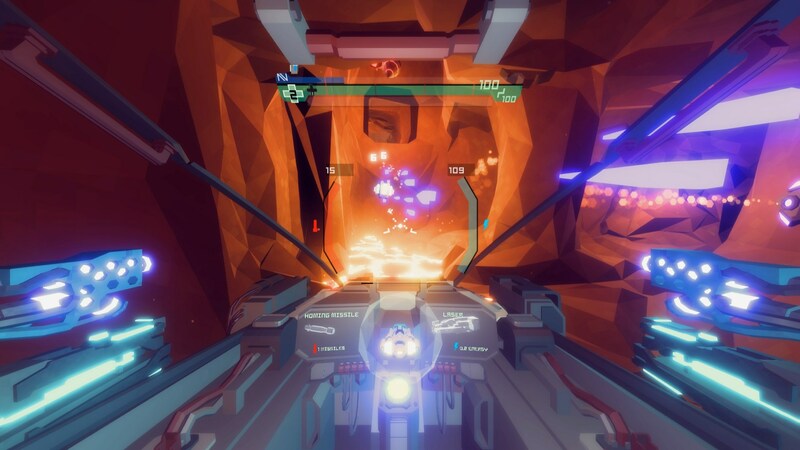 Well, even if you don’t, Sublevel Zero – now Sublevel Zero Redux – looks like a game that packs a lot of such old-school 6DoF (six degrees of freedom) fun, albeit with a few modern twists. Oh, and it’s a roguelite, which means… wouldn’t get too attached to my save if I was you. Among other things. As if that wasn’t enough, the entire thing takes place in a universe “where reality is falling apart”. Why is nothing ever simple anymore? But none of that is really important right now. Not compared to the recently released Redux update at least, which pretty much overhauls the entire experience, featuring the likes of a restructured campaign and more randomness to level generation (I believe that is actually a good thing?). With your gunship, fight in zero-g through a vast, procedurally generated underground facility to recover the technology you need to escape the many dangers hidden around every corner. Or how about some new enemies, including ones of the much tougher ‘elite’ variety, all of which will be added to the codex as soon as they’re done blowing up from your attacks? All that and more can be also be enjoyed in VR, should you feel the need for almost guaranteed motion sickness, with full support for both Oculus and Vive. All in all, there really is no better time than the present to become a pilot in the Sublevel Zero armada. Sublevel Zero Redux is available from Steam, GOG.com carrying a $13.99 price tag.